Amazingly there are quiet corners to be found even close to the centre of Marrakech. 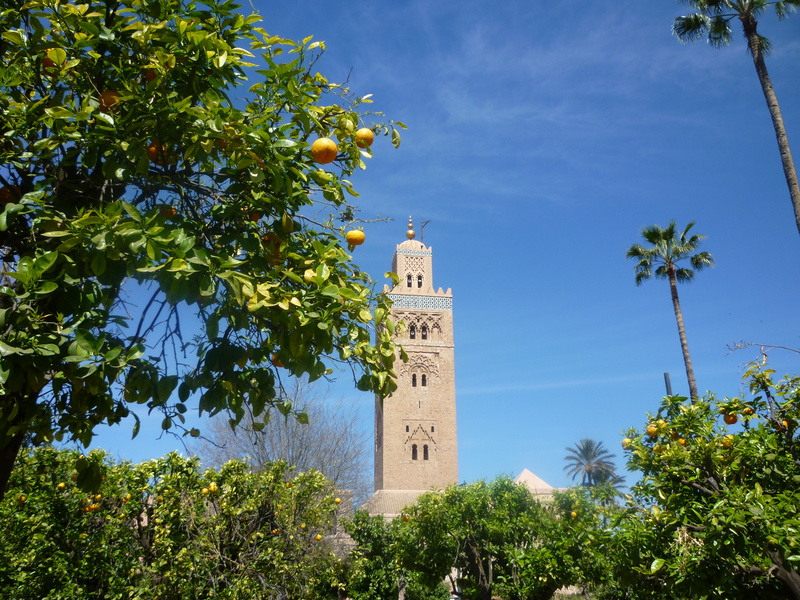 This view of the Koutoubia Mosque was taken from the the cool and calm of the orange grove in the adjacent Jardin De La Koutoubia. This entry was posted in Marrakech and tagged Jardin De La Koutoubia, Koutoubia Mosque, Marrakech, photo, photography. Bookmark the permalink.